The House Wednesday passed a bill aimed at raising wages and heading off a strike scheduled for Monday by about 2,500 union members who take care of the disabled. These employees are represented by SEIU 1199 New England and work for private agencies in group homes and day programs that receive state Medicaid funding. The House vote was 88 to 62 with nine Republicans joining all the Democrats in voting for the measure. It would affect 19,000 workers, both union and non-union. 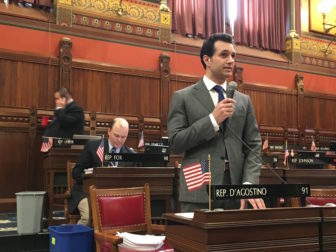 Rep. Michael D’Agostino, D-Hamden, said the workers haven’t received raises in more than a decade. These workers help their clients with everyday functions like eating, dressing and brushing their teeth, as well as activities like arts and crafts, music and outdoor sports. About 59 percent of the unionized workforce are people of color and 67 percent are female, according to the union. The bill mirrors a proposal that Office of Policy and Management Secretary Ben Barnes presented to legislators last week. The legislation would provide additional money to the state departments to cover increased wages at about 170 private providers, mostly nonprofits, that serve about 12,000 clients. The bill now heads to the Senate. In order to receive their state funding, the providers must raise wages to $14.75 per hour and provide a one-time 5 percent raise for those earning more than $14.75 but less than $30, effective Jan. 1, according to the proposed legislation. According to the legislature’s Office of Fiscal Analysis (OFA), the proposal would add $21.5 million to labor costs for those workers in the 2018 to 2019 fiscal year — with the state paying $10.7 million and federal Medicaid money covering the rest. But D’Agostino said the state anticipates saving enough Medicaid dollars through various efficiencies to cover its share of the cost. In fiscal year 2020, the cost would be about $43.1 million — evenly split between the state and the federal government, according to OFA. 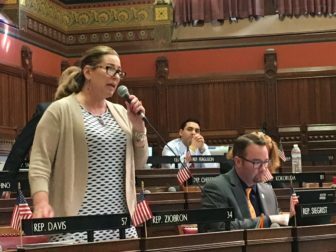 Rep. Melissa Ziobron, R-East Haddam, argued against the bill and for a GOP amendment to provide a 1 percent cost-of-living adjustment for a wide range of human services workers who provide services under contracts with the state. 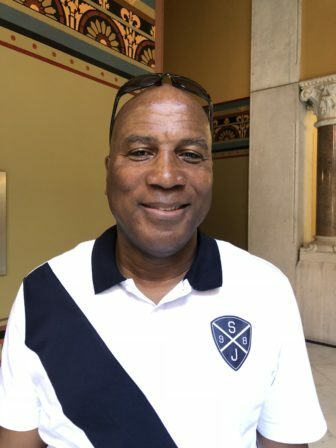 “Once again we are putting forward plans with no ability to pay for them because we don’t know the revenue package from my good friends on the other side of the aisle, but we know their spending plan,” Ziobron said. The amendment was defeated on a party-line vote. SEIU 1199 spokeswoman Jennifer Schneider said the union supports the House bill. According to the union, replacement workers began arriving at worksites on Wednesday to be trained. The nine agencies where workers plan to strike are: Oak Hill School, Journey Found, Mosaic, Alternative Services ASI, Sunrise, New Seasons, New England Residential Services, Whole Life and Network. The cost to the agencies for strike preparations, for which they can seek reimbursement from the state, is about $650,000. Half would be paid by the state, the other half with federal Medicaid money. If there is a strike, the cost would be about $1.1 million per day, including the replacement workers’ pay and security at the strike locations. Again, the state would be responsible for half, with the other half reimbursed by federal Medicaid money. Lebert Lewin, 62, of East Hartford. According to 1199, the latest payroll data submitted by unionized agencies show that 44 percent of workers currently earn less than $14.75 per hour. For those below that rate, the average hourly wage is $12.97. A union survey showed that 35 percent of workers rely on some form of public assistance, such as Medicaid, food stamps and housing assistance. Lebert Lewin, 62, of East Hartford, who has worked with the disabled for 13 years, went to the Capitol on Wednesday to support the measure. He would benefit from the proposed legislation — he makes $12.25 per hour and works multiple jobs to make ends meet. Lewin works at Harc in Hartford as a job coach, helping his clients find employment, but also with daily functions like eating and getting dressed. “We get so attached to these clients,” he said. In March, union workers announced at a rally at the State Capitol that they intended to strike on April 18. On April 4, Gov. Dannel P. Malloy wrote to union President David Pickus asking him to postpone the strike until early May “in order to give this process time to produce a positive result, with state budget support.” The next day, the workers voted to postpone. Last week, they voted to reissue strike notices to the nine private agency providers. On Tuesday, the union posted a new online video advocating for the wage increases (below).